Vinyl decals are perfect for your car, truck, windows, binders, even laptops! Express yourself with our completely unique vinyl stickers. Please see our instructions on how to apply a vinyl decal, as well as some tips and tricks! All of our designs are formally registered with the US Copyright Office. Please respect artists' rights and support small business by purchasing directly from us. Designs are licensed for sale only through Inky Dinky Dax Designs LLC, Sew Dog Crazy, and Menagerie Mayhem. This simple but fun Schnauzer Mom decal has “Schnauzer” in an arc over the word “Mom,” which has a heart cut out in the center of the “o.” On either side is a small paw print. 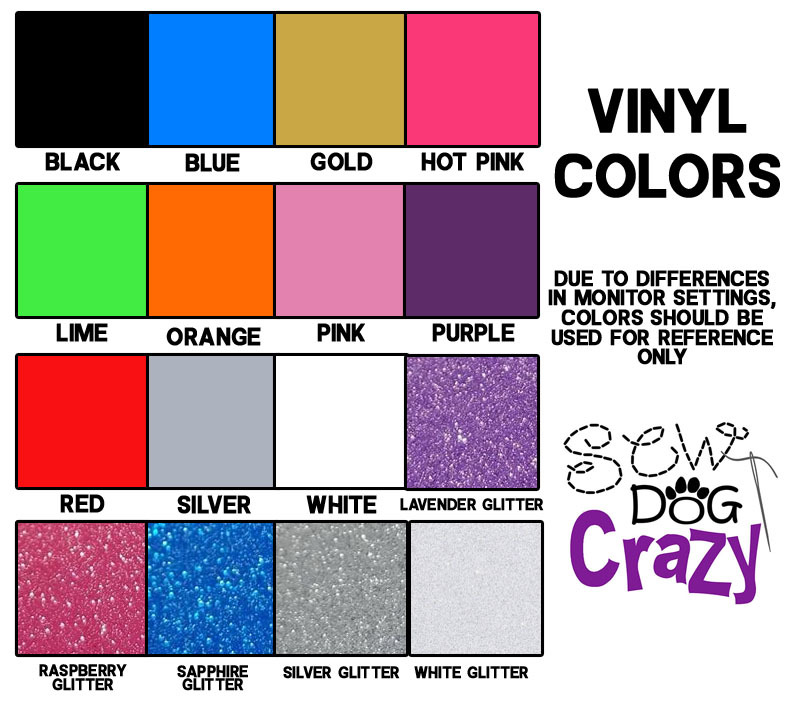 Very cute Schnauzer vinyl sticker made exclusively by Sew Dog Crazy. Vinyl decal measures approximately 4″ wide and 2″ tall. View our available Vinyl Colors. Our car window examples are shown in white vinyl. Modern day car windows are tinted enough that white vinyl shows up the best. We recommend white and other bright, light colors for window application. All decals are a single color. Click here for instructions on how to apply a vinyl decal.